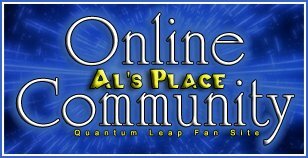 > Al's Place Website Updates! I wanted to express my sincere apologies for the extended outage that Al's Place experienced over the last week. One of the other websites hosted on this server attracted the attention of a very negative individual who decided to initiate a Distributed Denial-of-Service attack against the entire server. This persisted for several days and so it was necessary to find and migrate to a new server that can mitigate these kinds of attacks. This process took far far longer than anticipated. Welcome back and I plan to stick around for many years to come!